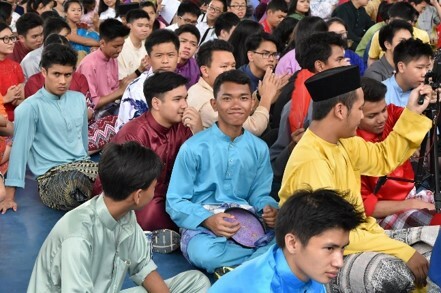 On the 20th July 2016, my school SKK SMK BU(3) had organised an event called Mega Raya. It was an exiting event and everyone including the teachers were looking forward to it. According to my seniors, this event is launched annually. 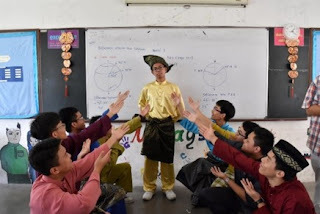 A day before this I saw many students exchanging traditional clothing such baju raya, sari, cheongsam and many more. On the day itself, almost all the students brought huge bags just like me. Even the teachers were wearing their traditional clothing. An hour before the event started, the prefects and some students helped to prepare the event while being supervised by the teacher. It was all coming together and the stage started to look more traditional. After the bell rang, we were given an hour to change our clothes to our traditional clothing. As for me I was wearing a traditional indian clothing even though I am not indian. Everyone was so exited and we spent most of our time taking photos.Then the second bell rang, we gathered at the dewan berbumbung for the event. 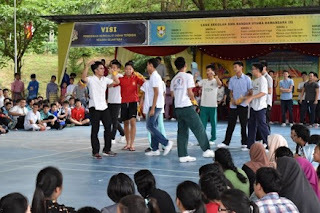 Soon the principal gave a speech and the traditional games begin. The first game that we played was congkak. There were also some other intense games going on as everyone watched. Congkak is a traditional Malay board game. While playing, we were given traditional food. One of the traditional food was sate. At 4p.m. sadly the event ended. I am really lucky to be in this school and also to be a Malaysian.